Posted in Lama Zopa Rinpoche Bodhichitta Fund, Social Services, Supporting our Lamas. 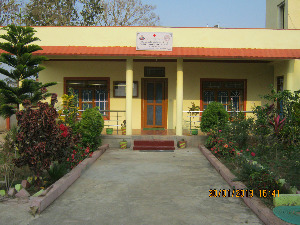 The Tashi Lhunpo Health Care CenterFebruary 2013: The Lama Zopa Rinpoche Bodhichitta Fund and the Tibetan Health Services Fund donated US$5,677 (300,000 irs) towards the Tashi Lhunpo Health Care Center. The Tashi Lhunpo Health Care Center is extremely important in providing quality health care since 1992 to the monks of Tashi Lhunpo Monastery and local Tibetans and Indians in the area. Lama Zopa Rinpoche was very inspired by their work and wanted to make this donation. 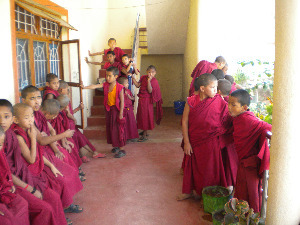 Young monks waiting in line at the health care center. 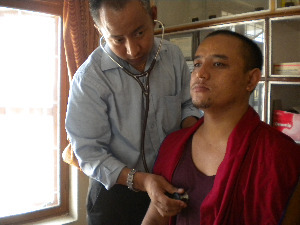 Doctor giving check-up to the oldest monk, 105 year old Kachen Laktho, tantric teacher of the monastery. Allopathy doctor giving check-up to monk patient.